If you’ve spent hours trying to find that signature Victoria’s Secret pink in a nail polish, the search is over. The VS Makeup Nail Collection is here with 20 new shades of nail lacquers for a dazzling manicure. There is a color in there for everyone. From pale hues to bold metallics, we’re sure you’ll find a shade (or ten) to add to your beloved polish collection. Of course, no VS nail collection is complete without the original pink, dubbed Bombshell Pink (obvi), to rock while wearing your favorite nighty. The VS Makeup Nail Collection also features a 2-in-1 Base & Top Coat that locks in color and adds shine to the already shiny lacquers and a Nail Polish Remover (out March). 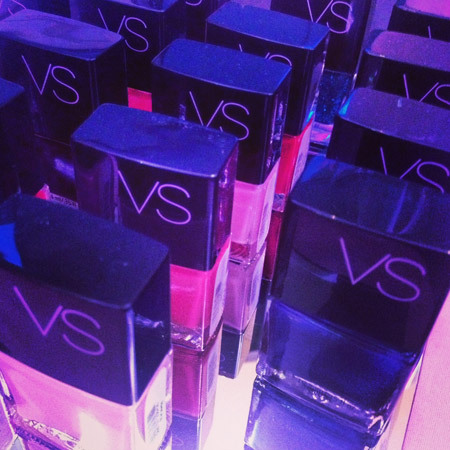 We got to try VS nail polish first-hand with a healthy dose of nail art created by the Victoria’s Secret backstage team. 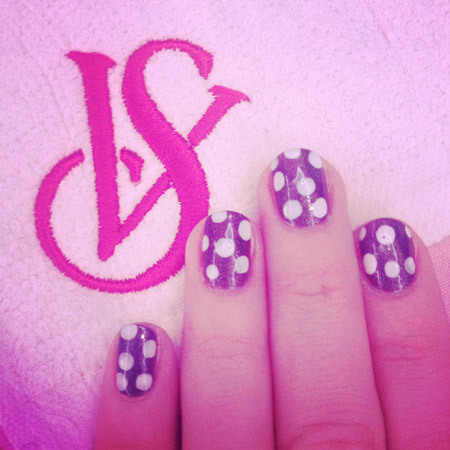 We opted for a dark gray and white polka dot mani inspired by the 60s vibe we saw at all the Spring 2013 collections. 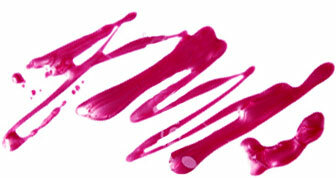 To get the look, apply two coats of VS Nail Lacquer in Cuffed (a cool gunmetal shade). Then, using a dotting tool or wooden cuticle stick (cut it in half to get the perfect-sized circle), dot over the base with Role Play (an opaque white) to get your polka dots. Top it off with the 2-in-1 Base & Top Coat for long-lasting shine.